Should you, as a small business, have a Google My Business Listing? Google My Business listings are the listings that show up on the right hand side of the screen when you are searching for a business. 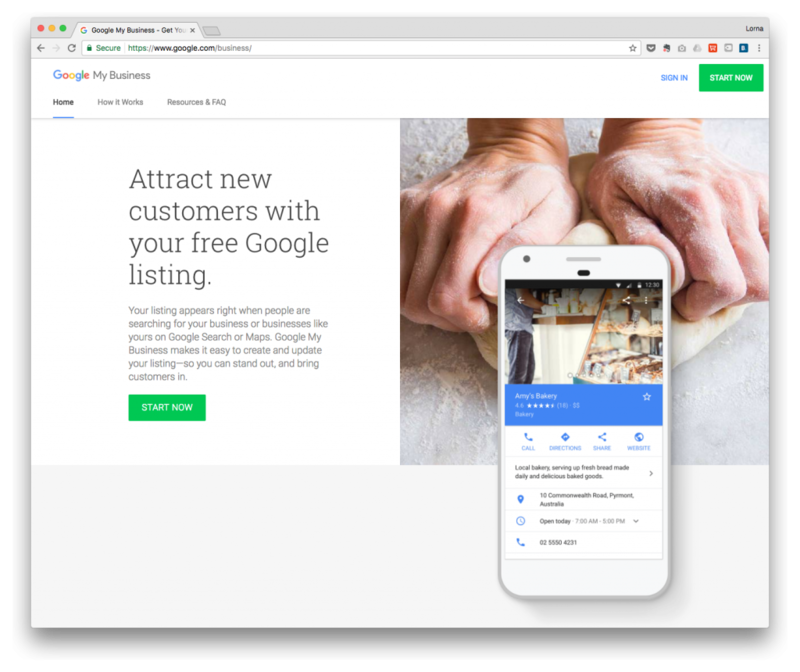 What are the benefits of a Google My Business Listing? Most local businesses haven’t even claimed their listings, so by doing so, you’re already ahead of the competition. There are several benefits, but most importantly, having a listing which is setup correctly, will allow you to drive more visitors to your site. Plus your listing is FREE, so why wouldn’t you?! 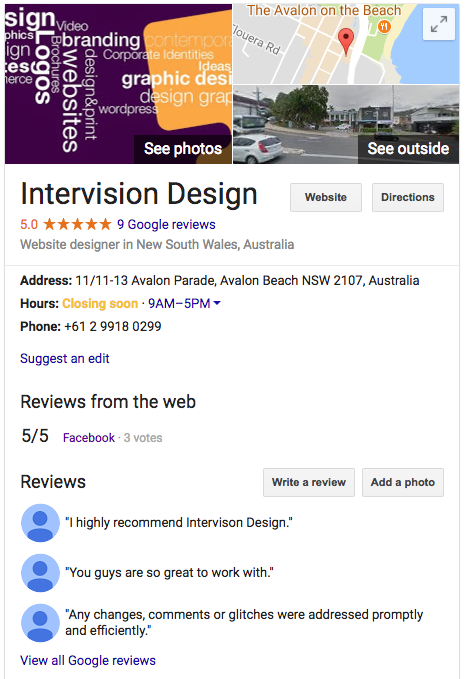 What information does a Google My Business Listing display? All of the above information is tracked by Google and therefore gives you an accurate pulse on how often customers are looking for your business. First, set up your Google account (if you haven’t already). If you don’t have a Gmail account setup, then you will need to create one. You will need to fill in the information as requested by the “Create your Google Account” online form. After that, simply follow the prompts. Go to http://www.google.com/business and login with your Google username and pw. This is self explanatory but getting every detail right is important if you want your listing to work well for you. When it comes to your phone number, include your local listing first before a toll free option. This will help you rank higher. Also add as much information about your company as possible, which includes your business hours and your business website address. Images are more important than ever when it comes to your Business Listings. If you think you can get away with having a single image, or worse yet, no images in your listing, think again. Add a cover image, a profile image, add interior and exterior photos, product images, team members and menu items. Be sure to add them all. Categories are another often overlooked part of a business listing. Yet, they are very important to getting found by customers. The problem for a lot of businesses is they either ignore categories all together or they chose the incorrect ones for their businesses. This means, be specific about the products or services you offer, but not the features your business has. Google uses categories as a basis for its recommendations to people’s searches. So, if you use the wrong category, your business won’t be among those recommended by Google in a search. 70% of customers will leave a review for a business if asked, so ask! You can encourage them to write a review from the “Review” option on your listing and you can make it easy by making your own review link (follow the instructions here). If you’ve got your customers emails, send them a note with that link and ask for a review – 70% should say yes!